I thought I’d do a review of some of the collections that have been coming out of New York, I was hard pressed to find lots to be inspired by. I don’t know why but I always find London and Paris more exciting. It seems that many designers have gone in the same direction which makes looking through all the images a little repetitive. I thought that Rodarte were doing something exciting though, I guess that’s because I’m really drawn to leather and lace so their collection spoke to me. This look above had to be my overall favourite though; leather trousers, belted, lace shirt and faux fur. All my favourite things! I can imagine some really cool rock front woman wearing this outfit on stage. Picture this, me sobbing into my emails while looking at my iPhone. ‘You Are Invited to Milly AW15.’ Of course I’m not in New York this season but it’s lovely to be invited to events on the other side of the pond, little old me! The collection itself was simplicity at its very best, the bold block colours and slightly oversized pieces kept the looks fresh. The oversized coats were the winning pieces for me, these would look great over a simple t-shirt and jeans – making high end wearable. 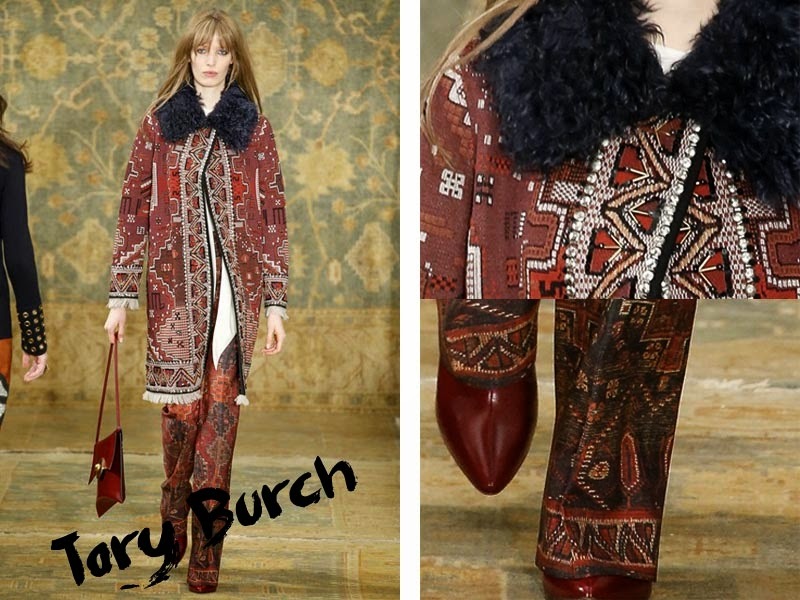 Is it bad to admit I loved the Tory Burch collection because it reminds me of my living room? Long story short, every room in my house has a word associated to it. The living room is ‘Moroccan’ and this collection was certainly inspired by moroccan interiors. I think the trousers in this look sold the collection for me, I can imagine wearing these with an peasant style blouse and leather jacket. Modern day Stevie Nicks? What do you think? "Fashion: London Fashion Week Outfit Planning"